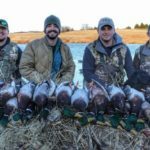 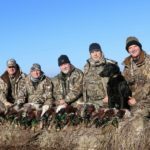 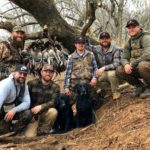 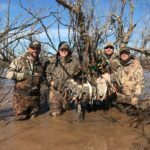 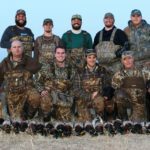 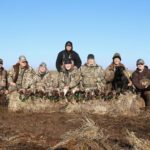 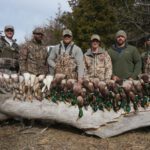 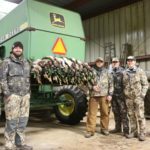 Oklahoma duck hunting with Salt Plains Outfitters is about 2 things only: providing the best mallards hunting in the State of Oklahoma and delivering superior client experiences to ensure that clients will want to come back. 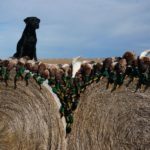 It’s a simple plan that’s working out very well. 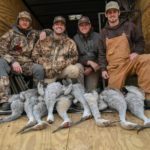 A core staff of 5 has an average of 10+ years guide experience under their belts. 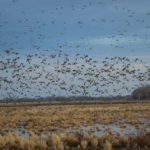 Within an hour’s drive-time of their lodge, they’ve amassed over 50,000 acres of some of the most pristine waterfowl habitat in the Central Flyway, with plans underway to acquire much more. 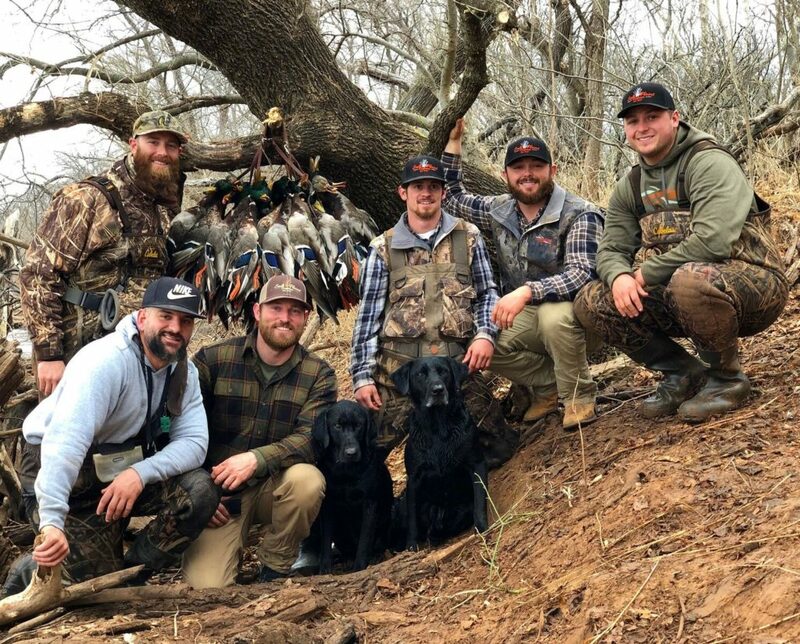 A long-term strategic habitat development plan keeps them busy during the off-season. 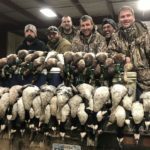 Prevalent species are mallards, wigeons, pintails, cackler Canada geese, giant Canada geese, white-fronted geese, and light geese. 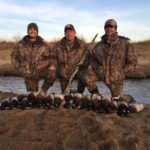 Hunting takes place among a variety of productive habitats to include flooded agriculture, dry grain fields, ponds, creeks and rivers. 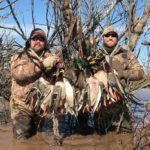 Lodge amenities include ensuite bedrooms, washer/dryer, fully stocked kitchen, multiple satellite TVs, fire pit, bird cleaning station, and coffee makers. 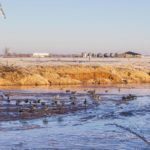 There are nearby local restaurants and grocery stores, too. 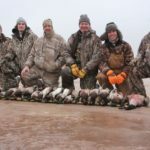 Guests are met at the lodge each morning by their guides and follow to private hunting areas located 15-60 minutes away. 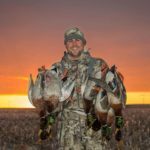 Located 1.75 hours from Wichita Dwight D. Eisenhower National Airport in Wichita, Kansas and 2.5 hours from Will Rogers World Airport in Oklahoma City, the first-class Oklahoma duck hunt is accessible to most of the US within a day’s drive. 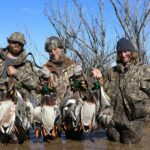 Experience the best Oklahoma duck hunting and goose hunting guides available. 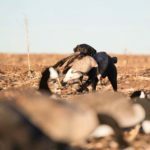 This outfitter has developed superior habitat management on a growing number of private properties totaling 50,000+ acres. 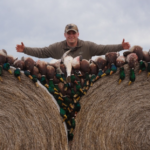 Dedicated to delivering the best mallard hunting in Oklahoma, they are utterly devoted to client satisfaction. 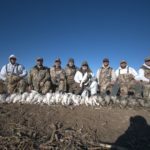 Contact Grant Wisenbacker, www.saltplainsoutfitters.com, phone (936) 827-2647, email saltplainsoutfitters@gmail.com. 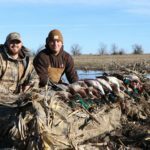 Oklahoma duck hunting combo (duck hunting, goose hunting) season usually first weekend November through late-January (ducks). 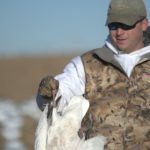 Oklahoma goose hunting runs through late-February. 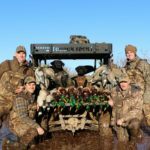 Terms: A 50% non-refundable deposit is required to reserved dates. 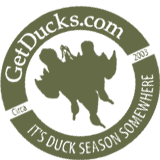 Balance is due on last day of service. 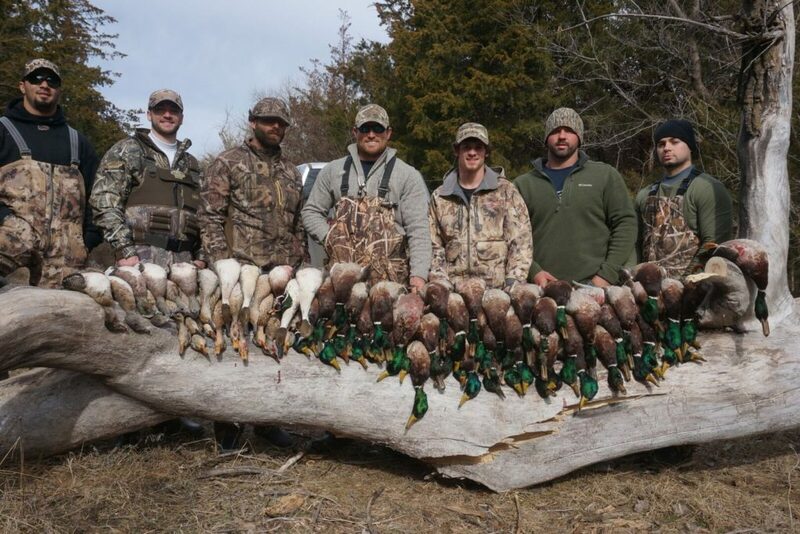 Minimum 4-man team to book. 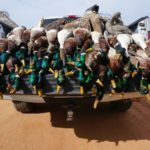 Minimum 2-day hunt package, no maximum number of hunt days. 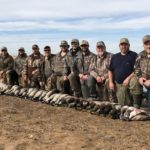 Maximum 16 guests (8 hunters per group). 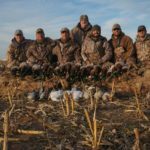 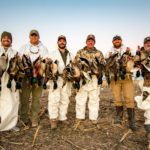 Salt Plains Outfitters’ Oklahoma duck hunting combo includes all professional guide services and unique lodging experiences. 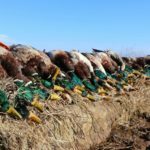 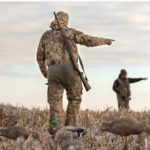 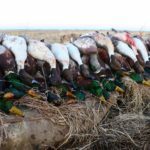 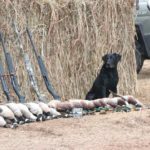 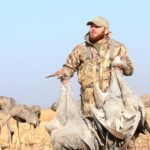 Salt Plains Outfitters’ Oklahoma duck hunting combo does not include meals, Oklahoma license and stamps, firearms, ammo, items of a personal nature. 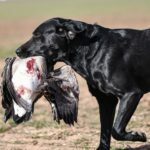 Bird cleaning and packaging is available for $3 per bird, to include hunter ID and leaving head/wing attached for legal transport. 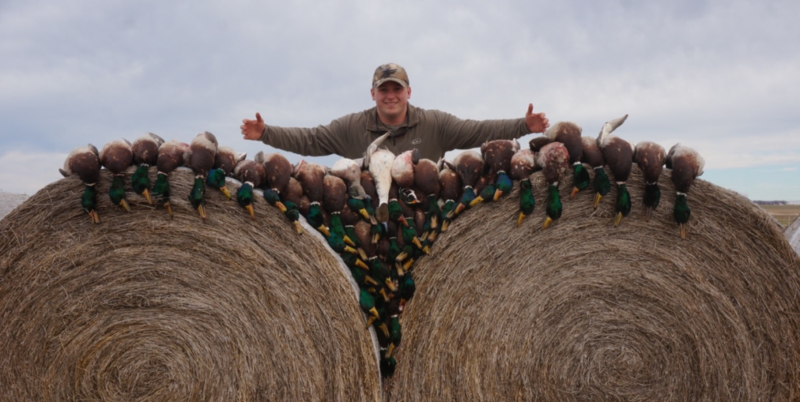 Hunters are responsible for bringing ice chests necessary for transporting their own birds. 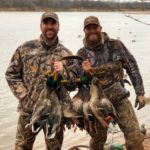 Nearest airports are Wichita Dwight D. Eisenhower National Airport in Wichita, Kansas (1:45 hours drive) and Will Rogers World Airport in Oklahoma City (2:30 hours drive). 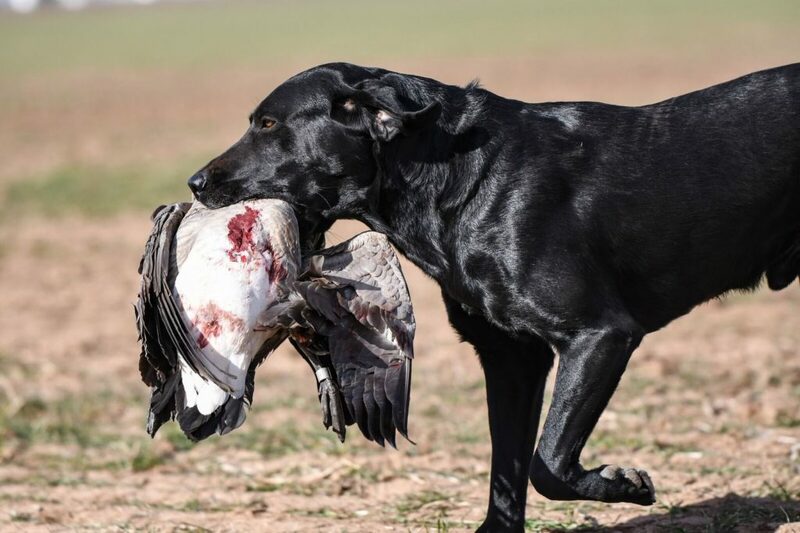 Oklahoma waterfowl limits: Ducks 6 (not to exceed 5 mallards), Canada geese 8, white-fronted geese 2, snow geese 50. 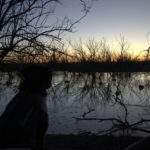 Obedient retrievers usually welcomed, contact outfitter to discuss. 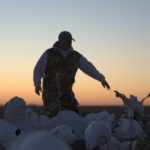 Salt Plains Outfitter references available on request. 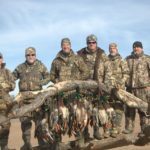 Experience the best Oklahoma duck hunting and goose hunting guides available. 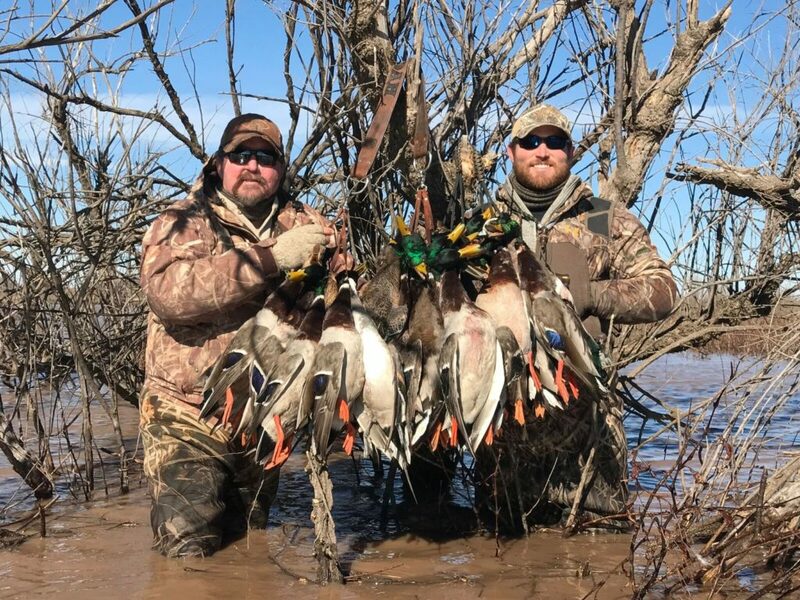 This outfitter has developed superior habitat management on a growing number of private properties, dedicated to delivering the best mallard hunting in Oklahoma, and committed to client satisfaction. 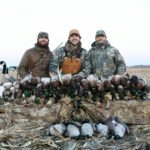 Contact: Grant Wisenbacker, www.saltplainsoutfitters.com, phone (936) 827-2647, email saltplainsoutfitters@gmail.com.